In a large bowl stir together mustard, egg whites and Tabasco sauce. Add the fish fillets and coat well. Cover and marinate for 1 hour. In a shallow dish mix together corn meal, flour, salt and pepper. Pour the oil into a heavy 3 quart sauce pan or deep fryer. Fill it no more than one third fill and heat over medium heat to 350˚F. Dredge the fish in corn meal mixture, shake off excess and add to oil. Do 2 or 3 pieces at a time and cook for 2 minutes or until golden brown. 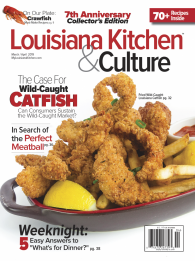 Serve the catfish hot with spicy mayonnaise, cocktail sauce, or tartar sauce.